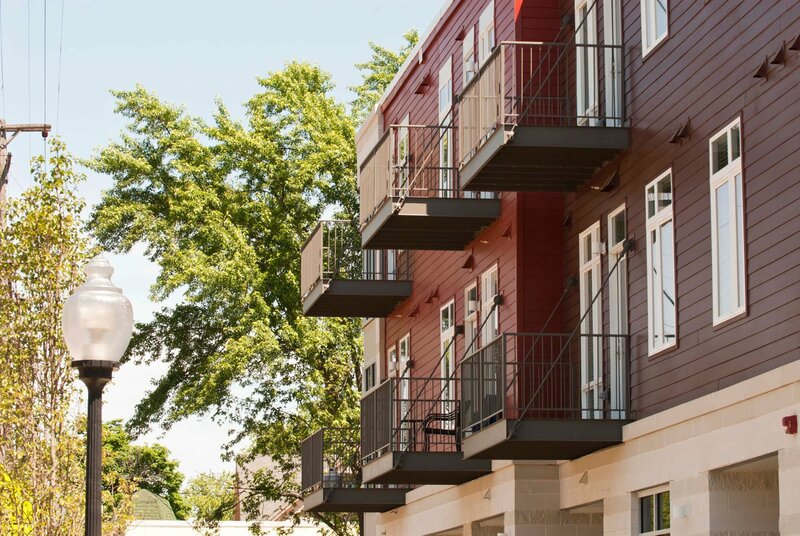 Eastown Flats is a mid-sized urban development along one of Grand Rapids’ keystone corridors on Wealthy Avenue. The project transformed two separate, vacant lots on either side of Wealthy Avenue into a thriving mixed-use development containing market-rate apartments, ample parking and ground floor retail space. Each unit features high-end finishes and amenities to compliment the vibrant culture of the neighborhood.